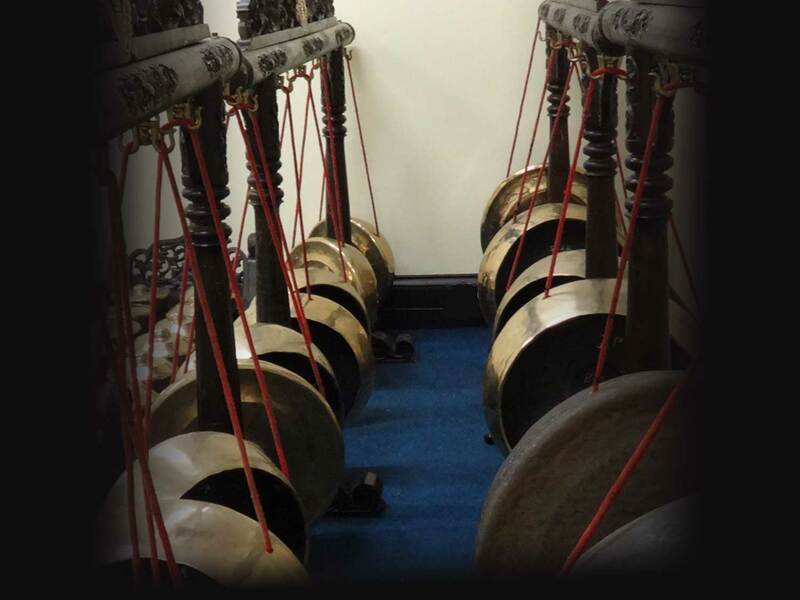 To meet the builder of the new Dublin gamelan instruments, and the members of the Yogyakarta royal family who are presenting these instruments as a gift to Dublin, I spent the summer in Java studying the Yogyanese-style gamelan, performing with local gamelan ensembles, and even learning to speak Indonesian! Videos of the gamelan-building process, and my visit to the gamelan workshop with the sultan's brother, Gusti Yuda, can be seen here. Upon my return from Java, I was appointed Director of the UCD Gamelan Orchestra. This student ensemble rehearse once a week, and finished their first term with a performance for the Indonesian Ambassador and the Vice-President of the University.